At the annual Next Generation Suborbital Researchers Conference, Virgin Galactic and the Italian Space Agency (Agenzia Spaziale Italiana, ASI) announced that they had signed a Letter of Intent under which ASI would secure a full suborbital flight on Virgin Galactic’s SpaceShipTwo. ASI’s spaceflight mission is planned to take place in 2019 at Spaceport America in New Mexico. The purpose of the ASI flight will be to conduct scientific research, suborbital experiments and to fly an Italian Payload Specialist. The full agreement will define the scientific and technological research areas for payloads and identify the Italian Principal Investigators and successful payload proposals. The collaboration will also include training and preparation of the onboard Payload Specialist and on-site pre- flight support for the payloads. This agreement is an important early example of a government space agency contracting with a commercial space company to conduct human-tended suborbital research payloads. This work can open up new avenues for both government and commercial astronaut training. ASI will also be the first international space agency — after NASA’s S — to secure an entire research flight on Virgin Galactic. ASI’s spaceflight is subject to US regulatory approvals. ASI is a world leader in space science, satellite technologies and on the development of satellite systems for exploring the Universe. ASI is coordinating the Italian effort to establish a spaceport in Italy to support suborbital spaceflight operations for space research and space travel. ASI is also working with Virgin Orbit who was selected to launch a SITAEL satellite developed in collaboration with ASI and the European Space Agency (ESA). Italian Space Agency’s President Roberto Battiston said that the space sector is changing quickly and ASI is adapting to the change by developing and using new tools and technologies which become available. 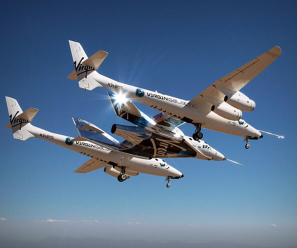 Virgin Galactic suborbital flights will provide several minutes of microgravity, ideal conditions to develop and test payloads such as those which will operate for months, starting on 2021, on Space Rider, the reusable European Shuttle being developed at ESA. Suborbital flights open the way to new utilization of space based on public-private partnership with the goal not only to fly people but also to manufacture new materials and drugs and to perform scientific research. Virgin Galactic CEO George T. Whitesides added that they are honored to pursue this dedicated research and human spaceflight mission on SpaceshipTwo with the Italian Space Agency. Collaborative public-private partnerships can enable greater scientific discoveries and technological advances at lower cost, and this mission will serve as a pathfinder for exciting future collaborations with ASI.